Arnold V-Sit. Sit on the floor, bend your knees and lift them. Raise your core. 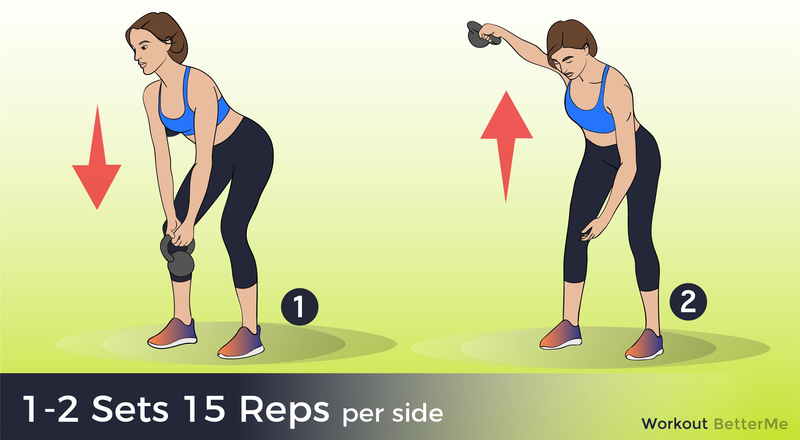 Take dumbbells in your hands and lift them to the chest and then above your head. Do 15 repetitions. Multicurl. Stand on the floor, slightly bend your knees. 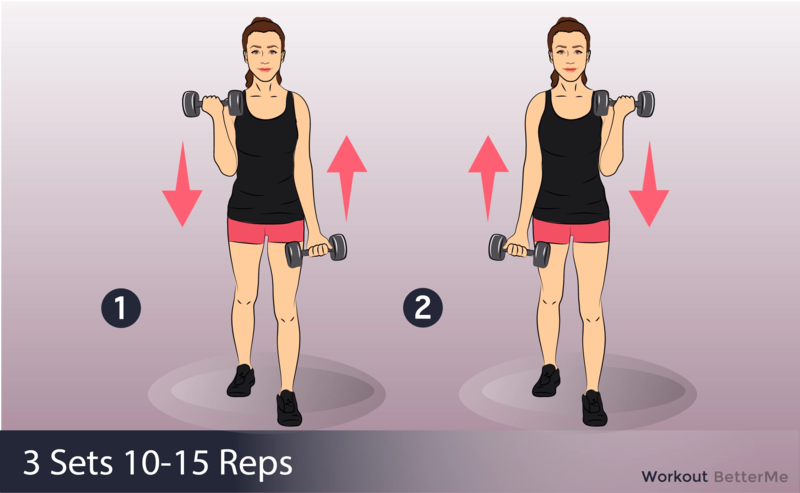 Take dumbbells in your hands, then lift them to the chest and then to the sides. 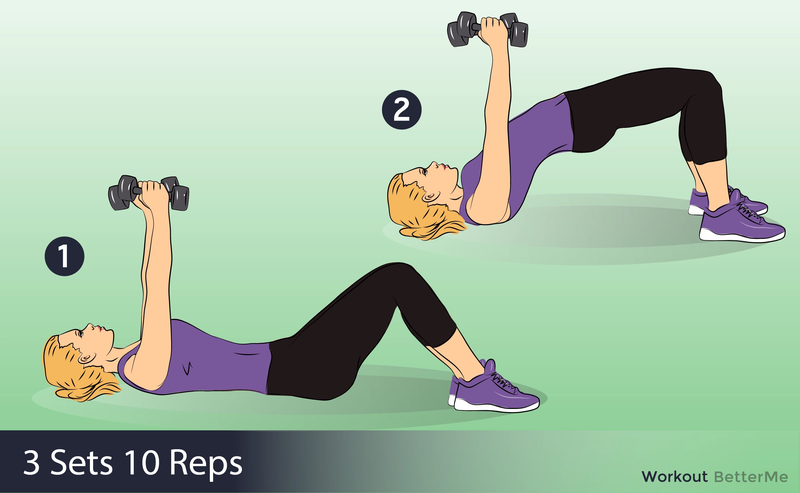 Do 3 sets of 10 repetitions. Burning Bridge. Lie on the floor, band your knees and lift your buttocks. Then take dumbbells in your hands and lift them. Do 3 sets of 10 repetitions. Crocodile Row. Stand on the floor, then take a dumbbell in your right hand and place your left hand on the bench. Lift your right hand to the core level. Do 3 sets of 10 repetitions. Ab-Fab Press. Lie on the floor, slightly bend your knees. 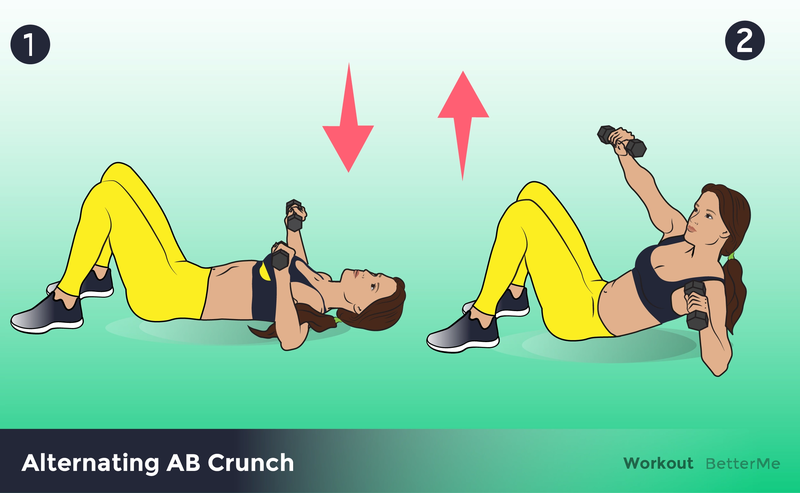 Take dumbbells in your hands and raise your core. Taking a sitting position, lift your arms above your head. Then lower to the start position. Do 20 repetitions. Combat Burpee. Stand on the floor, slightly bend your knees. Do 4 punches. Then jump to take a plank position, do a push-up, and jump up. Do 20 repetitions.